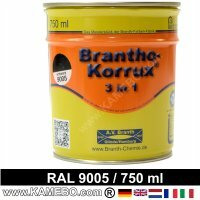 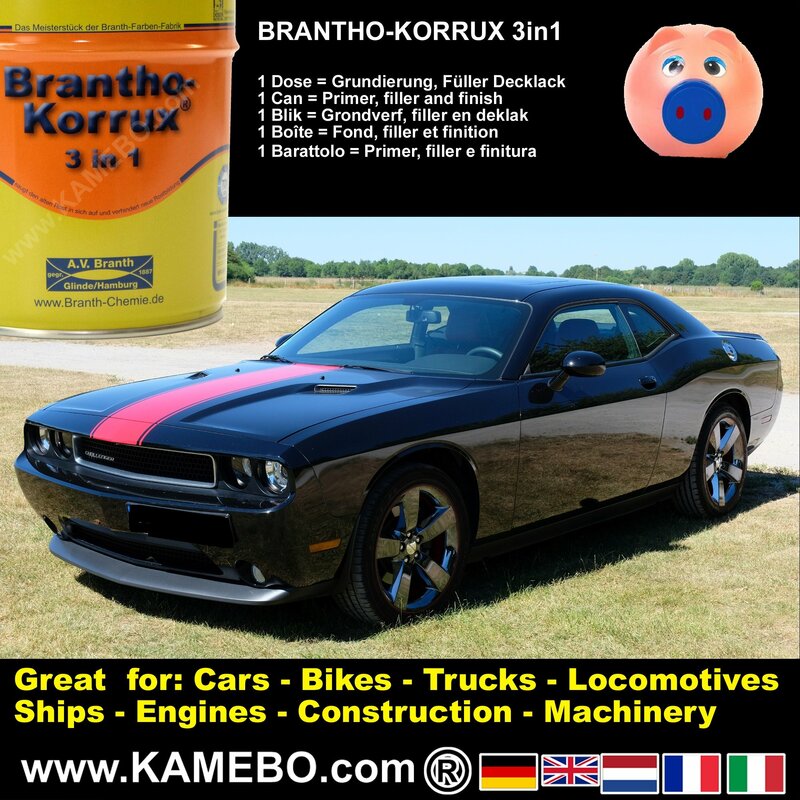 BRANTHO-KORRUX 3in1 is a semi-gloss 1-component coating, which can be used as well as primer, as intermediate coating or as finish. 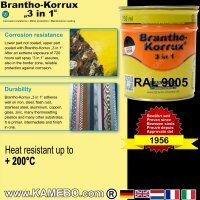 Please observe our complementary description of BRANTHO-KORRUX 3in1 and the technical data sheets. 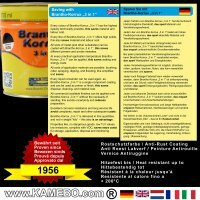 Technical data sheets are only in German and partially in English available. 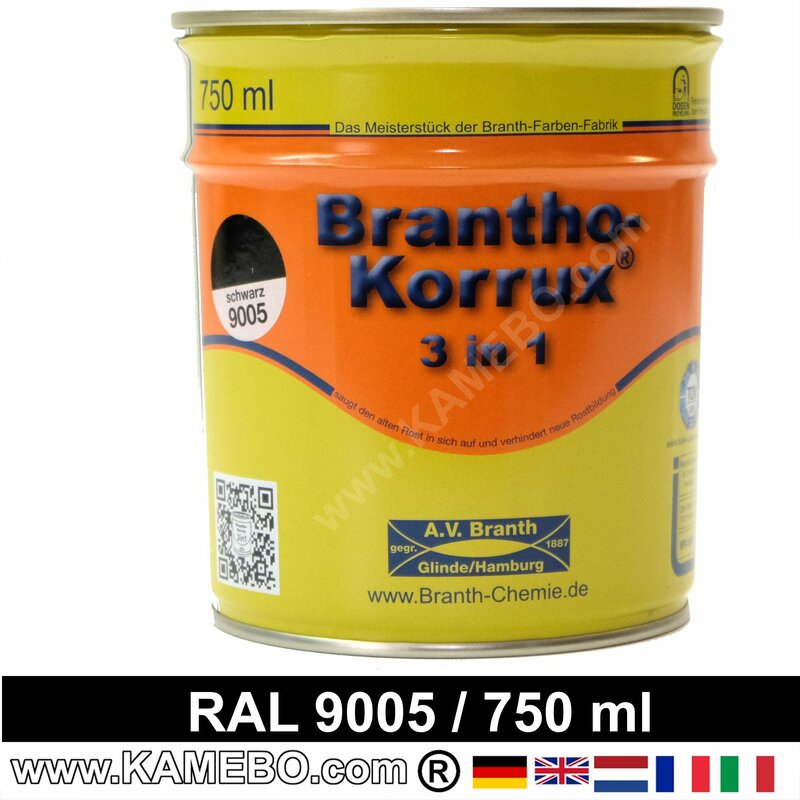 BRANTHO-KORRUX 3in1 may be used for the food sector and toys. 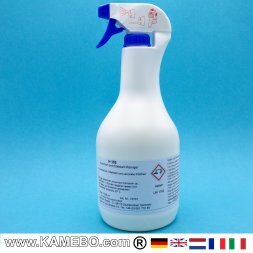 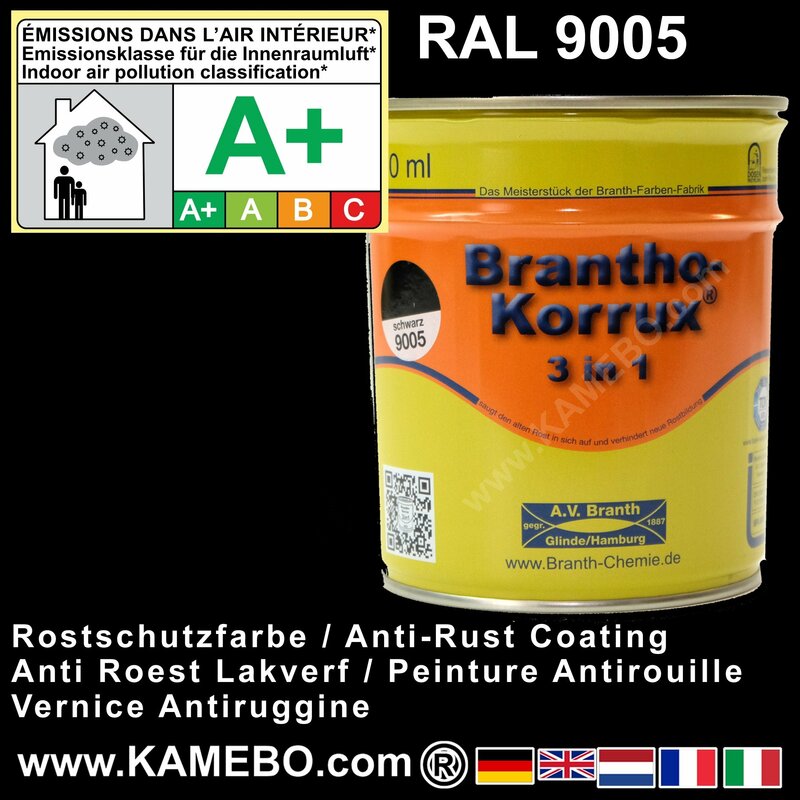 Also ideally suited for agriculture, animal breeding, Zoological gardens - except the colours DB 601, DB 701, DB 703 and RAL 9006, which contain micaceous iron ore particles respectively aluminium particles that might fall off the dried coating. 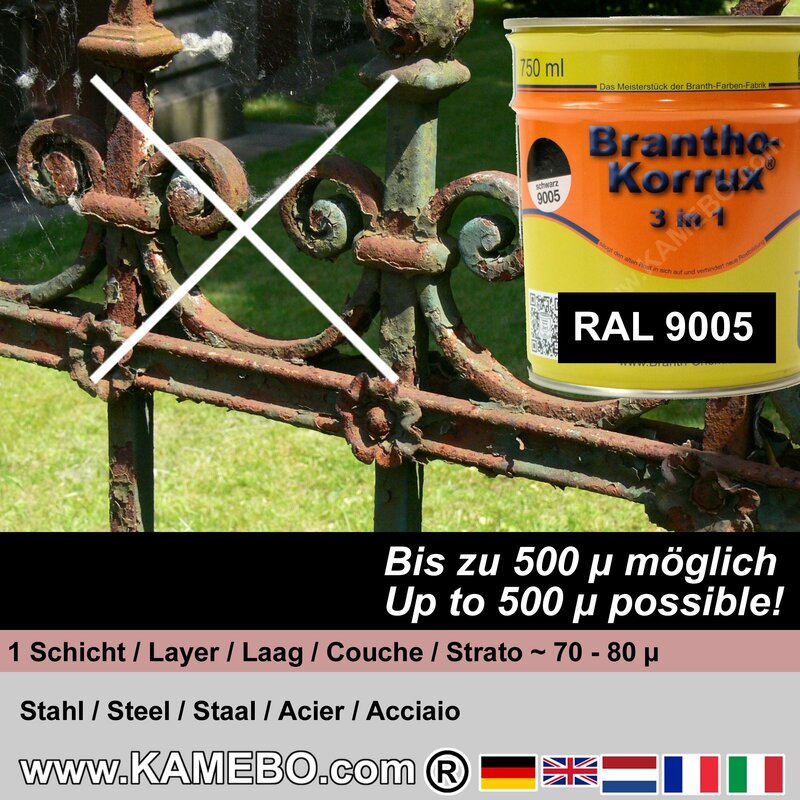 For rust protection of products made of metal, iron, steel, stainless steel, aluminium, and other non-ferric metals, coatable hard plastics etc. BRANTHO-KORRUX 3in1 has an elastic surface and very good filling properties. 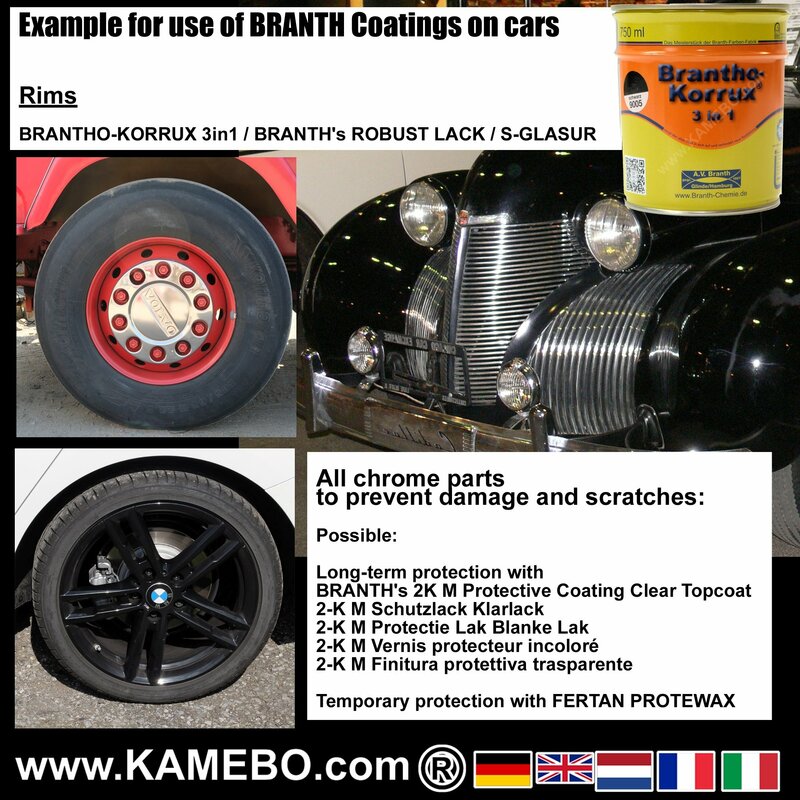 Due to its elasticity it is not suitable, if sanding or reworking of the surface with putty is necessary. 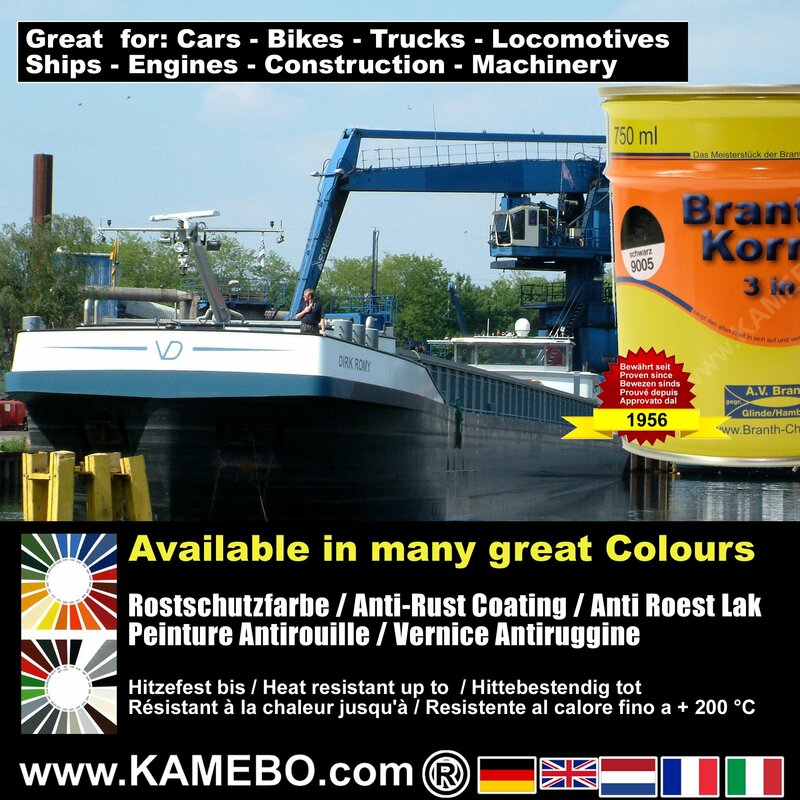 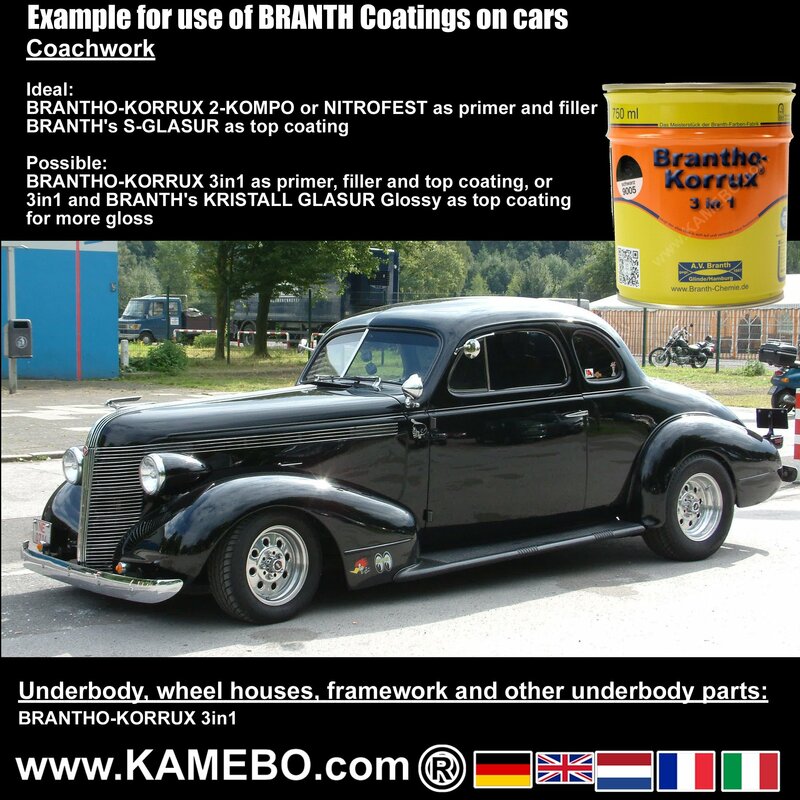 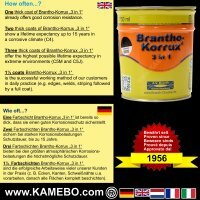 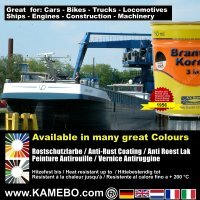 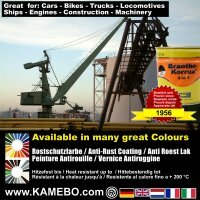 If you have to use putty after coating, BRANTHO-KORRUX NITROFEST or BRANTHO-KORRUX 2-KOMPO instead will be more practical. 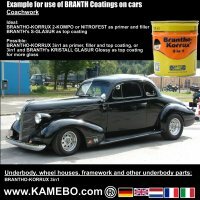 Using paint roller: BRANTH's SPEZIAL-VERDÜNNUNG / SPECIAL-THINNER has to be applied. 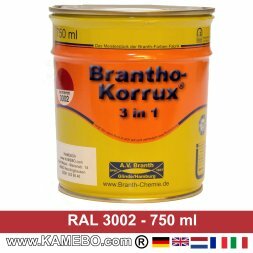 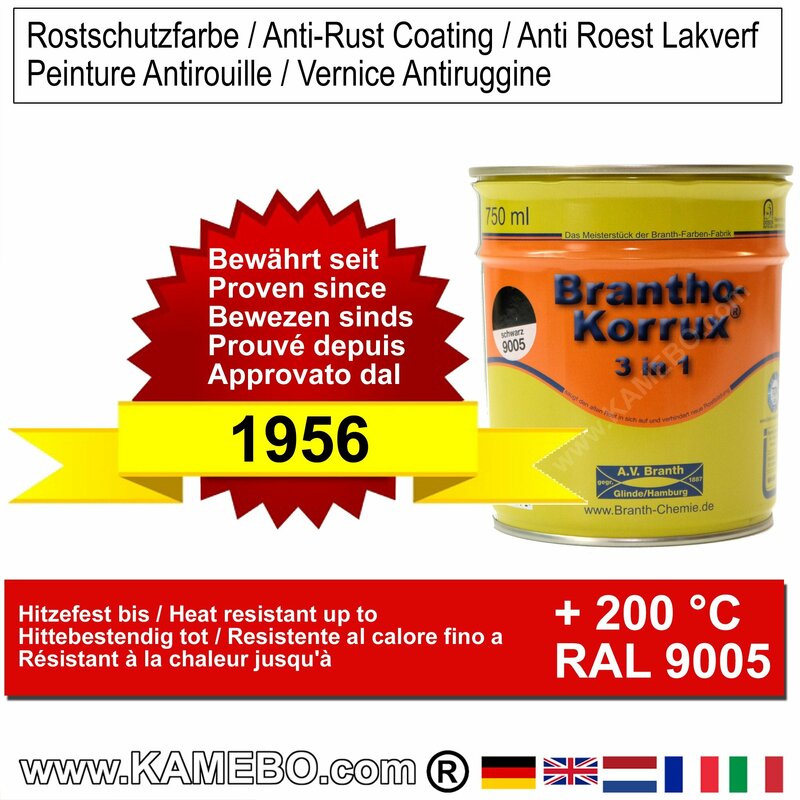 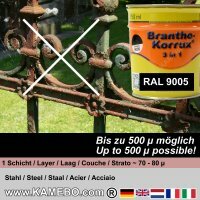 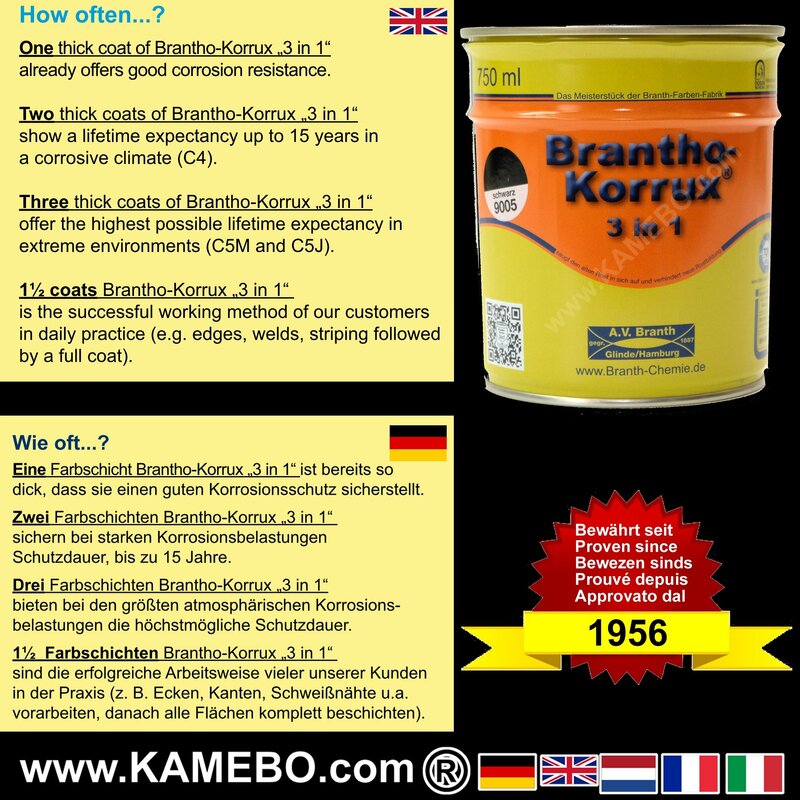 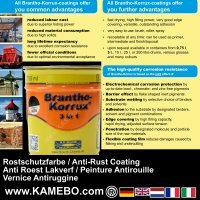 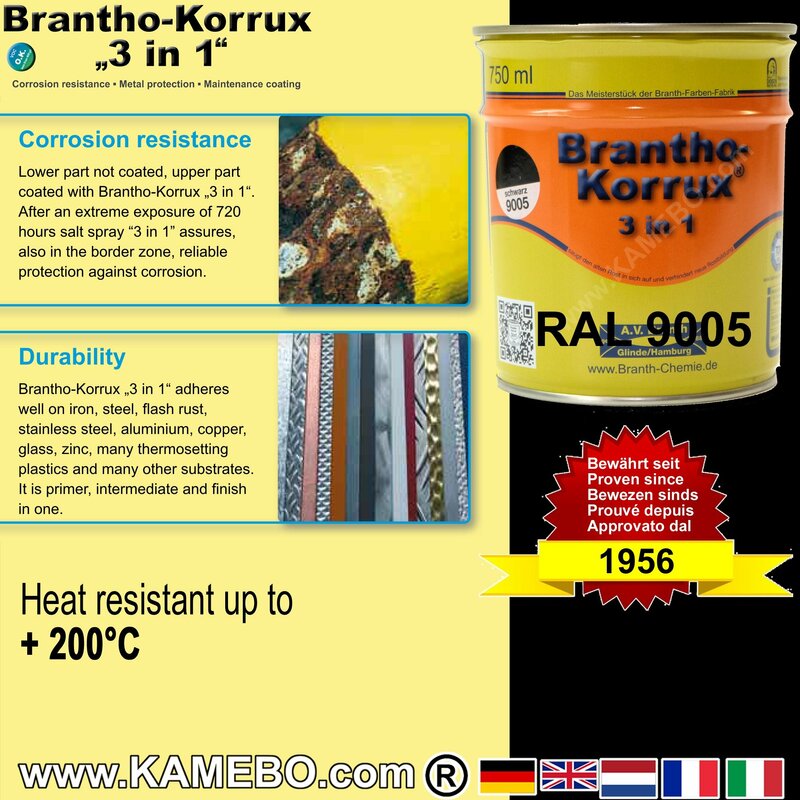 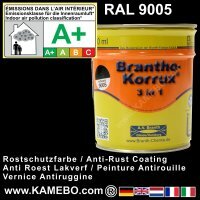 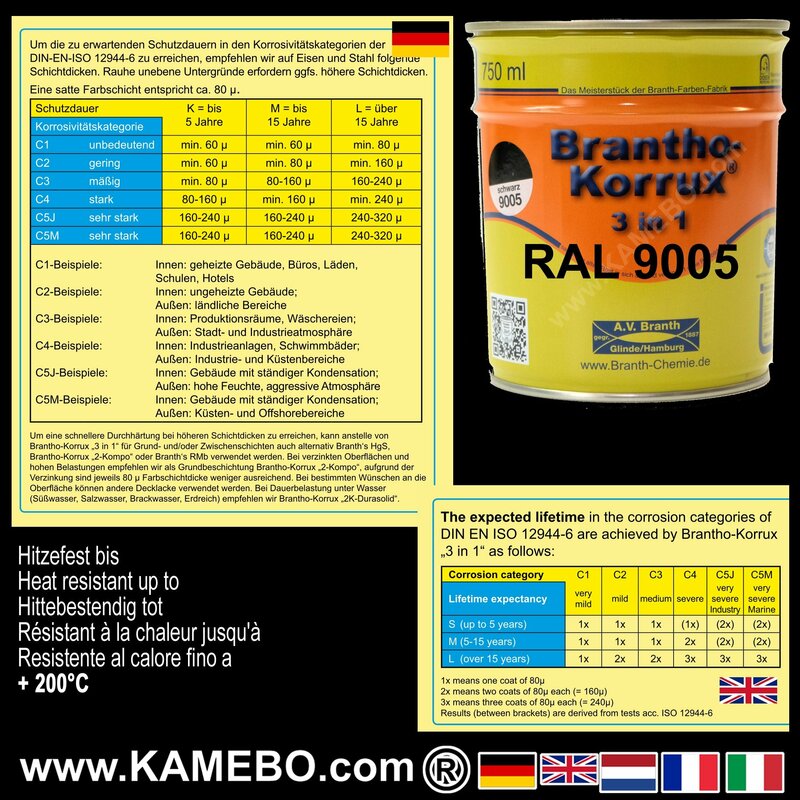 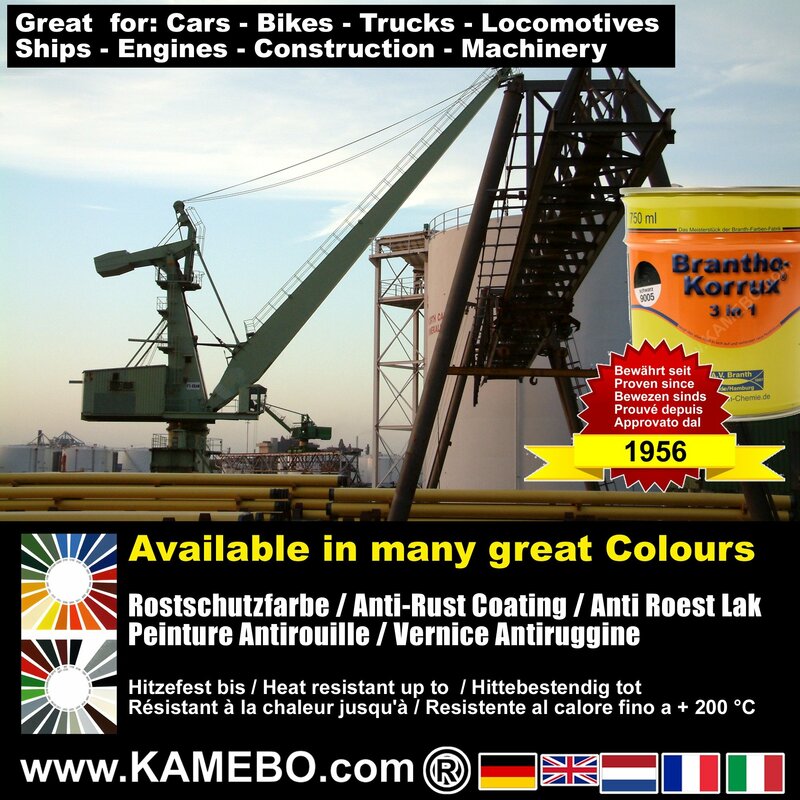 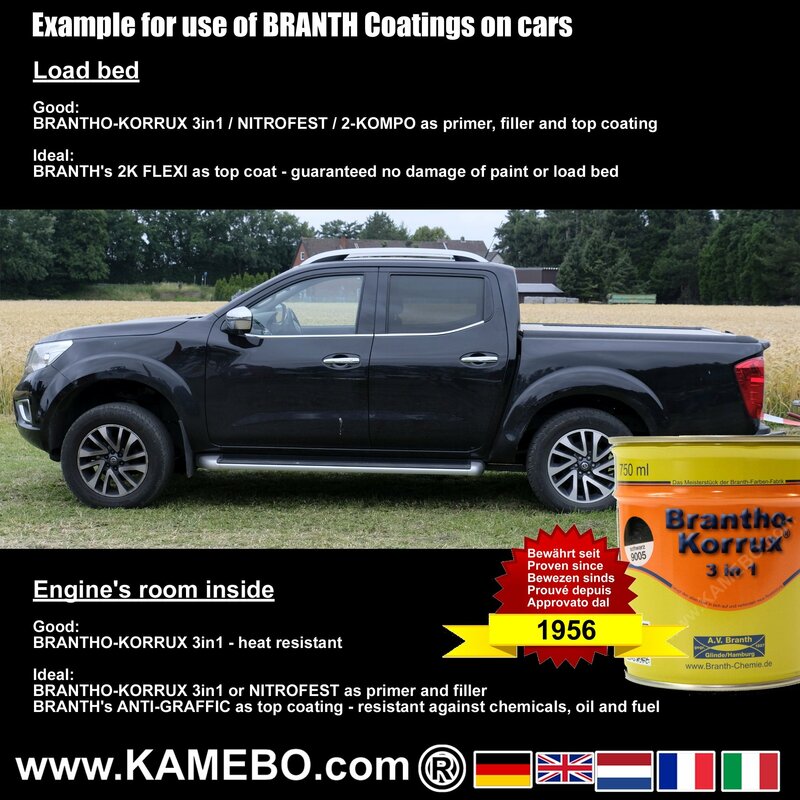 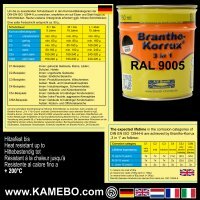 BRANTHO-KORRUX 3in1 can be applied on residual firmly adhering rust. 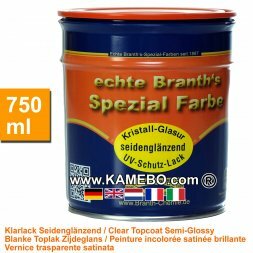 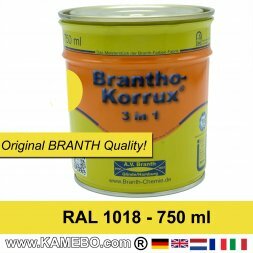 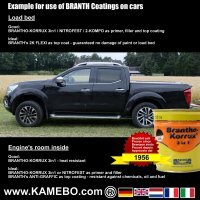 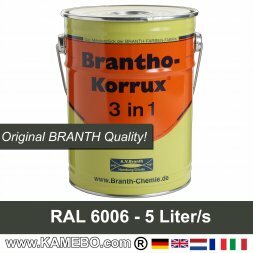 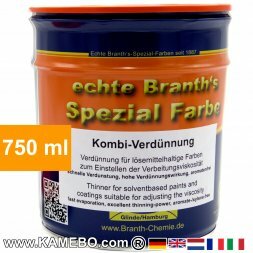 Paint and primer of BRANTH: Excellent rust protection and space-saving! Every can with BRANTH coating, paint, primer, finish, Gloss Additive, KOMBI and SPEZIAL Thinner, as well as SLIDE STOP Additive are stackable. 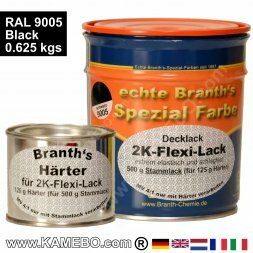 You save space in your workshop or repair shop, and storage will be easier for specialised companies. 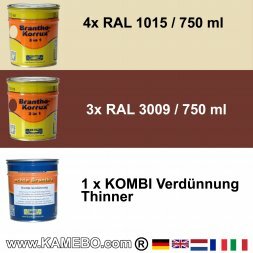 Hardener for 2component coatings in buckets is also delivered in the same stackable cans. 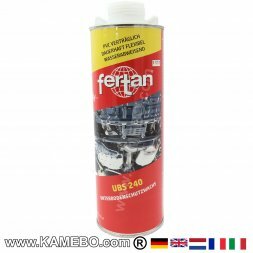 FERTAN UBS 220 / 240 is an elastic underbody protection wax and does not drip after processing. 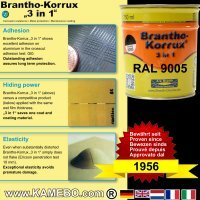 Extremely flexible. 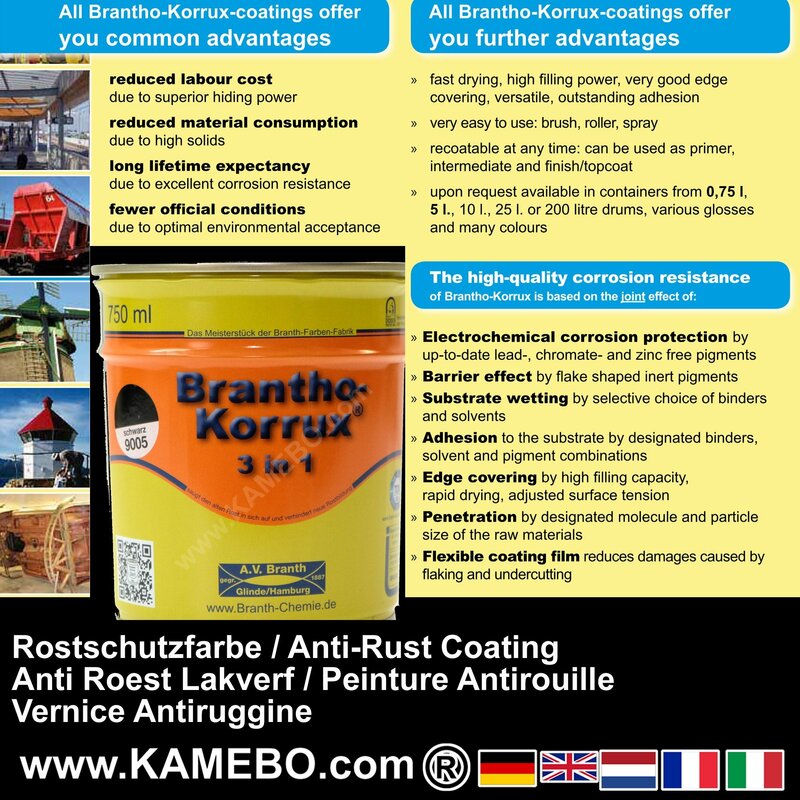 Extremely impact-resistant and abrasion-resistant.This coating does not break, it is even resistant to hammer blows.